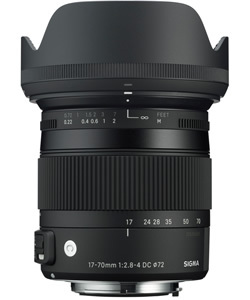 Sigma 17-70mm f/2.8-4 DC MACRO OS HSM – This new Contemporary lens is designed for cameras with an APS-c sensor and covers a range equivalent to 25.5 to 105mm on a 35mm camera. An upgrade to its predecessor, which was released in December 2009, this general purpose lens offers a new design and a more compact build. 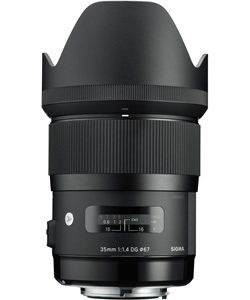 Sigma 35mm f/1.4 DG HSM – This Art lens provides photographers with a state-of-the-art alternative to the more conventional 50mm. This lens’ axial chromatic aberration is minimized, which renders a cool and smooth out-of-focus image. At low apertures, it can perform like a wide-angle lens; when opened up to F1.4, it will provide background bokeh and make the subject pop like a mid-range telephoto lens. 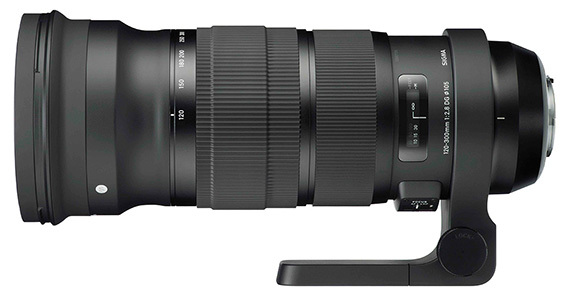 Sigma 120-300mm f/2.8 DG OS HSM – With redesigned mechanics and performance, this Sports lens is an update from its predecessor released in February 2011. This high-performance lens eases difficult shooting conditions by offering a maximum focal length of 300mm and a wide-open aperture of F2.8. This lens, like the other Sports category lenses to come, is dust and moisture resistant, and allows users to adjust the focus speed and the focus limiter via a button on the lens. This entry was posted in Sigma and tagged Photokina 2012. Bookmark the permalink. Trackbacks are closed, but you can post a comment.